The adventure was so breathtaking that he still felt the rush of adrenalin. This is not his first time to experience the thrill of overcoming rapids one after the other while enjoying the glimpse of a panoramic view of the river rock walls and the surrounding green vegetation. From Take-out back to the City. Helmets, life vests and paddles will be provided. Pictures P250/CD for Basic or Experts Course, P300/CD for Advance Course. Car Rental - Self-Drive available. CAN YOU FIND MY PYE ??? 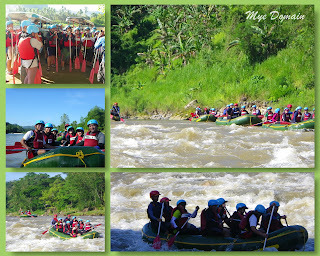 wow white water rafting... how fun!!! i will ask my friend to add this in the list! yeabah!! I wanted to try water rafting though there's fear in me. It looks really thrilling. 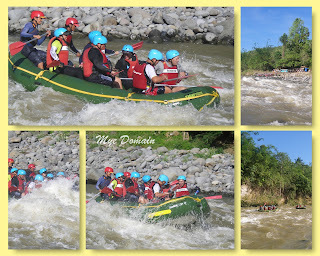 how i wish i could try that rafting..
sikat yan sa CDO I know. awww...I am very proud that we have this in y home town but never try it. I might let my brothers try this water rafting when I come to visit in a couple of months from now. I will take notes of the information. Thank you for sharing. wow! 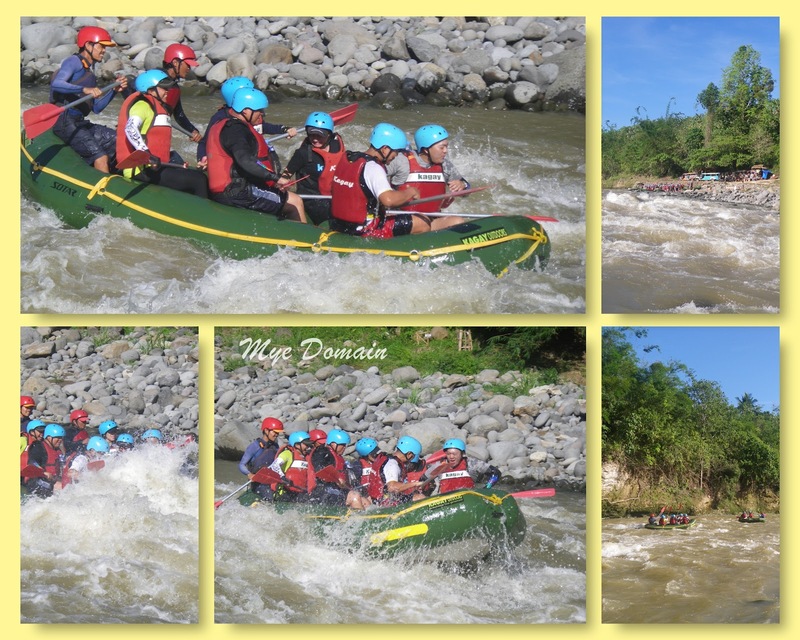 I always wanted to go rafting in CDO. looks all of you had fun huh! we also had this when we had our seminar in cdo.. it was part of the package we paid for the workshop... unforgettable and thrilling one.. wala lang kaming pics.. lol. Yahweh bless. 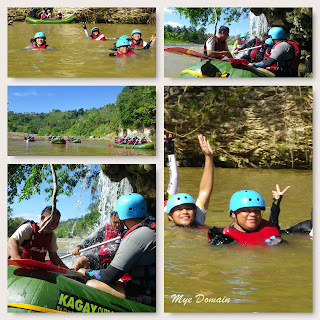 I am afraid of the current and big stones but I love adventure so I guess I will also enjoy my stay there in the future as much as you guys enjoyed the company of each other there. I went to CDO last year for a business trip. 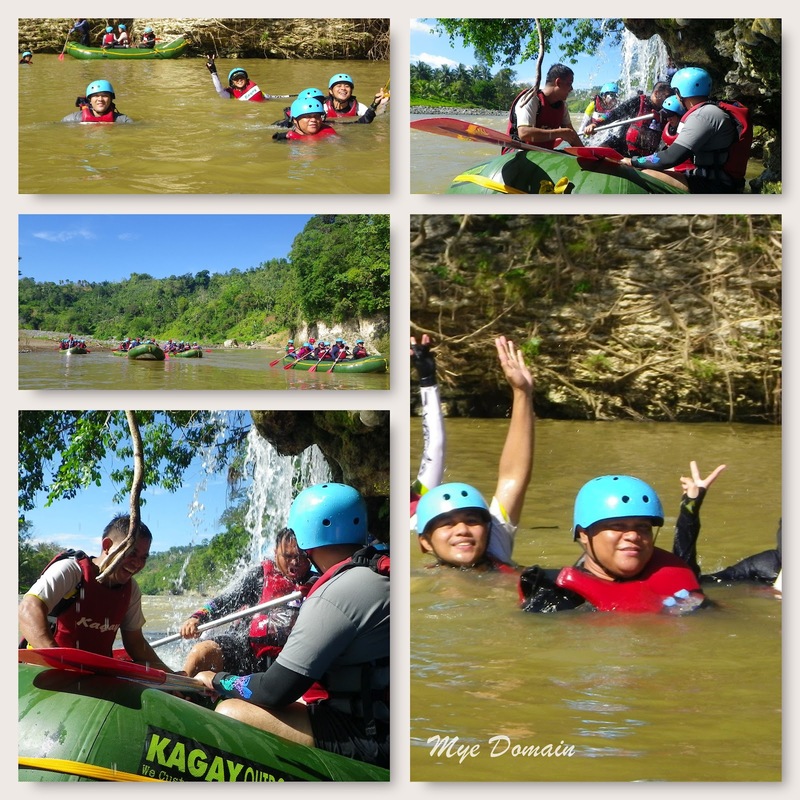 My limited schedule didn't allow me to do water rafting on the side.. too bad hehe. But seeing your photos makes me want to go there again and try this! What a fun challenge...would love to experience this too! I had experience this as well.. It was a month prior to the Sendong deluge.. 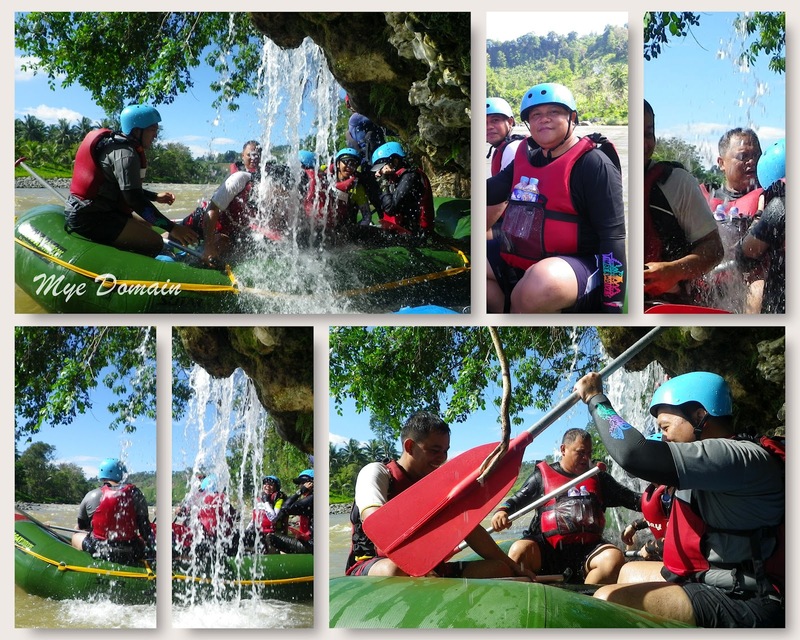 I was such a great experience, yun nga lang, the rapids then were moderate because it rained the day before, so medyo malalim ang ilog. taking note of this for future river rafting adventures for me. Now that's something I'd love to try out. And the packages are not that bad. Hopefully next year. Looks like a lot of fun. But I'm scared to try it coz I don't know how to swim. nakita ko tong ginawa ni Richard Gutierez sa show nya. Looks so fun and thrilling and exciting. I do found your PYE by the way. hehe. heard a lot of nice reviews from friends about this place. sure na nag-enjoy ang hubby mo, kita naman sa photos. the rafting in CDO is the main attraction of the city . i was shocked to know that they have increased the payment of the package. I just hope they keep a good service as well ... Mabuhay Mindanao! 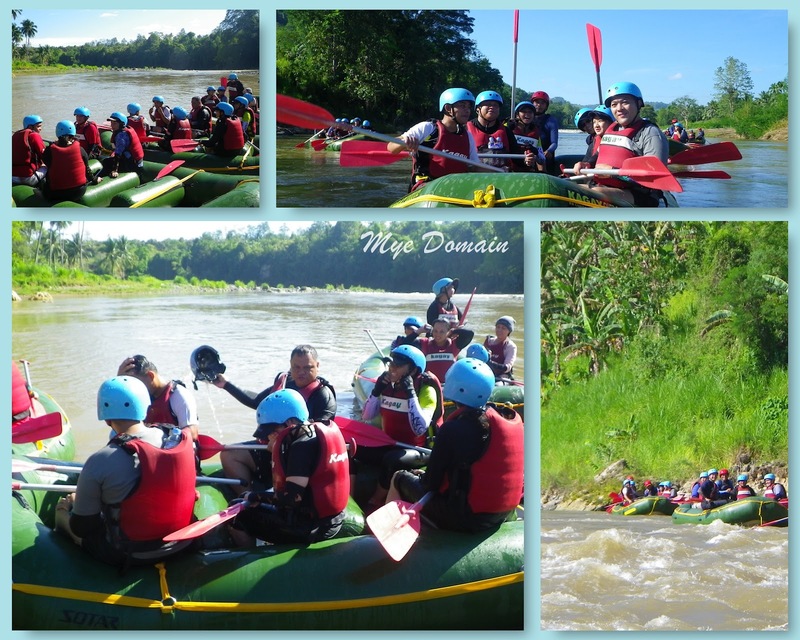 I love water rafting especially if you are with groups so FUN! 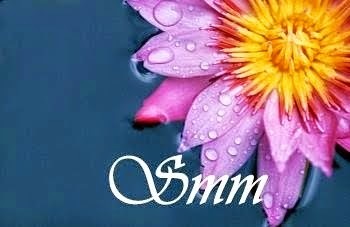 By the way thanks for sharing their rates and contact nummers...great HELP. enjoyed this also when we had a convention in cdo. it was really a fun and exciting experience... but such adventure is definitely not for the weak of heart. Yahweh bless. I really would love to try Whitewater rafting. I never had any experience ride one yet. I hope we can do this soon. I bet that's gonna be really awesome!